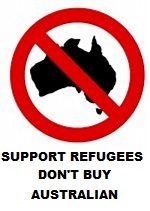 No Right Turn: Australia: racism beats "national security"
Today the Australian house of representatives is debating the government's super-important encryption backdoor legislation, which would require services like Signal to put a government backdoor in their software. Meanwhile, the Senate is debating an amendment which would require the government to approve medical transfers of refugees held in its Pacific concentration camps. Which given the level of mental illness in those gulags, will mean most of the victims being brought to Australia. The government doesn't want this to pass, firstly because they're racists, and secondly because it will mean a vote in the House which they will lose. And that won't just be humiliating for them - it may also mean an election. The government has spent all week talking about how vital the encryption legislation is, and how it Must Be Passed By Christmas to deal with some nameless threat to the holidays (despite it not actually coming into force until next year). But when push comes to shove, it seems that knee-jerk authoritarianism has lost out to their desire to deny basic medical care to the people they've tortured: rather than risk having to listen to doctors, they've sent the house home early for christmas, sacrificing their encryption legislation in the process. I guess it just wasn't that important after all - or at least, not as important as being irredeemable racist arseholes, and being seen to be so by the Australian electorate. Update: Except of course you can always rely on the chickenshittedness of the Australian Labor Party. The moment the house rose, they pulled their amendments to the encryption backdoor bill, allowing it to pass without challenge. So, Australia gets to be racist and a tyranny. 'Straya!